Instantly transfer your data from your ASUS ZenFone 5Q ZC600KL to your Computer (PC or laptop). 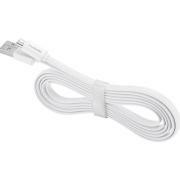 The Data Charging Cable is a High Speed USB 2.0 Certified Cable(non-OEM). Up to 480 Mbits/sec transfer. Compatilbe with ASUS ZenFone 5Q ZC600KL.